“You should have contacted me once before selling the property,” businessman, Mahesh Srinivas’ accountant said. “As per your current tax slab, you will have to pay a tax of 30% on the profit you made from the sale of your property.” Astonished and taken aback, Mahesh, who sold his residential property within a year after purchasing it, asked for a clarification. “If an individual sells property within two years of acquiring it, then the tax department treats the profit from the sale transaction as a short-term capital gain,” the accountant, explained. “Short-term capital gains are added to the total income and taxed according to the tax rate slab applicable for an individual.” In Srinivas’ case, it is 30%, as his earning is over Rs 10 lakh a year. Mahesh invested in a residential property in the Begumpet area of Hyderabad in February 2018. In November 2018, seeing an appreciation in the market value, he sold off the property, making a handsome profit from the sale. But like most people, Mahesh wasn’t aware that the ‘timing’ of the sale plays a critical role in this matter. Being uninformed about the taxes on the sale of property in India, shaved off 30% of the profit Mahesh made. Though it is difficult to keep a close eye on the calendar while selling a property, it is still important to consider the effects of taxes on the sale of property in India to maximize your profit. Here is all you need to know about the tax implications of selling your property. India’s Income Tax Act divides capital gains into 2 categories: Long Term Capital Gains (LTCG) and Short Term Capital Gains (STCG). What is a Long Term Capital Gain? When an individual purchases a property and sells it after two years, then the profit from the sale comes under long-term capital gains. Long term capital gains attract a flat tax rate of 20 per cent. What Is a Short Term Capital Gain? When an individual buys a property and sells it within two years of the purchase, then the profit from the sale comes under short-term capital gains. Short term capital gains add up to the taxable income of the individual and attract taxes as per the individual’s applicable Income Tax slab. How to Calculate Long-Term Capital Gains (LTCG) on Property Sale? *Indexed, or Indexation is an adjustment made to factor in the effects of inflation. The adjustment is done using the “Cost inflation Index” provided by the Income Tax department. 2009-10 148 2018-19 Not announced yet. Let’s say, Mr. A buys a property in 2012 for Rs 50,00,000 and sells it in 2016 for Rs 80,00,000. He paid a brokerage of Rs 30,000. The cost of acquisition in 2012 was Rs. 50,00,000. The Income Tax department, using the Cost Inflation Index, calculates the fair price of the property at the time of its sale, which is 2016. Here, Mr. A will be charged a flat rate of 20% on the Long-Term Capital Gains of Rs 13,70,000. How to Calculate Short-term Capital Gains on Property Sale? For example, Mr. A buys a property in 2012 for Rs 50,00,000 and sells it within two years for Rs 65,00,000. He paid a brokerage of Rs 30,000. 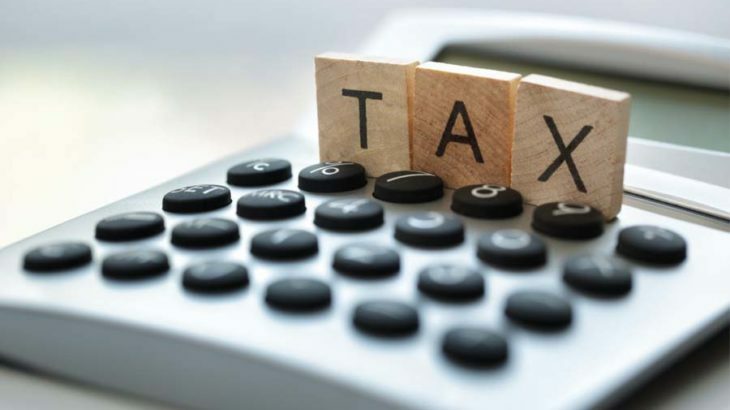 Rs 14,70,000 will be added to Mr. A’s taxable income, and Mr. A will have to pay taxes on the short-term capital gain according to his tax slab rates. How Can You Save Tax on Capital Gains? Under section 54 of the Income Tax Act. Under Section 54, you can avoid paying tax on long-term capital gains if you reinvest the gains to buy another property. To save taxes, you will have to buy the new property one year before the sale or two years after the sale. The new property should not be transferred within three years of the acquisition. Otherwise, the tax exemption will be reversed. If the new property is under construction, you will have to make it fit for living within three years of the old property sale. As per section 54EC of the Income Tax Act, you can claim long-term capital gains tax exemption if you invest the amount from the property sale to buy bonds issued by NHAI and REC, and hold these bonds for a minimum period of 5 years. So you see, if you plan the sale of your property the right way, you can earn good returns on your real estate investments while saving long term capital gains tax.